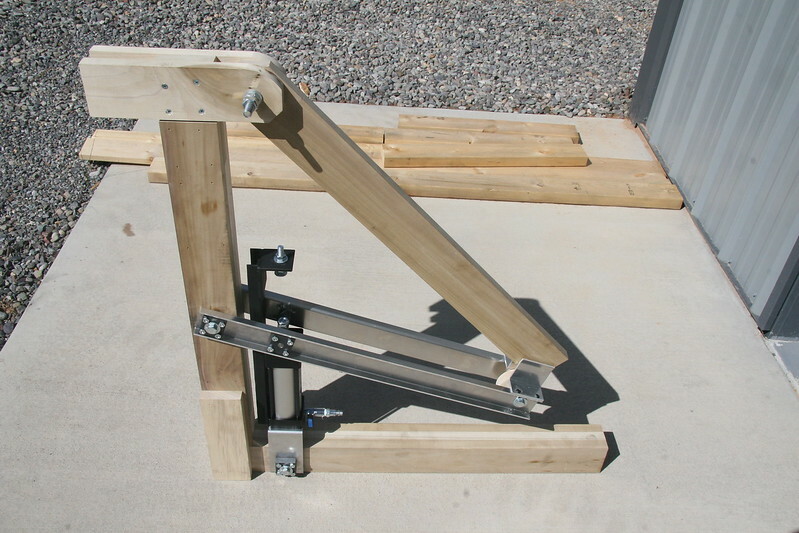 This pneumatic mechanism will lift an out feed table on a planer. The table swings from horizontal to 45 degrees below horizontal. Two such mechanisms will be used providing for 100 Lbs of support and a rapid cycling of the table. Shown here are production parts assembled into the prototype made beforehand.